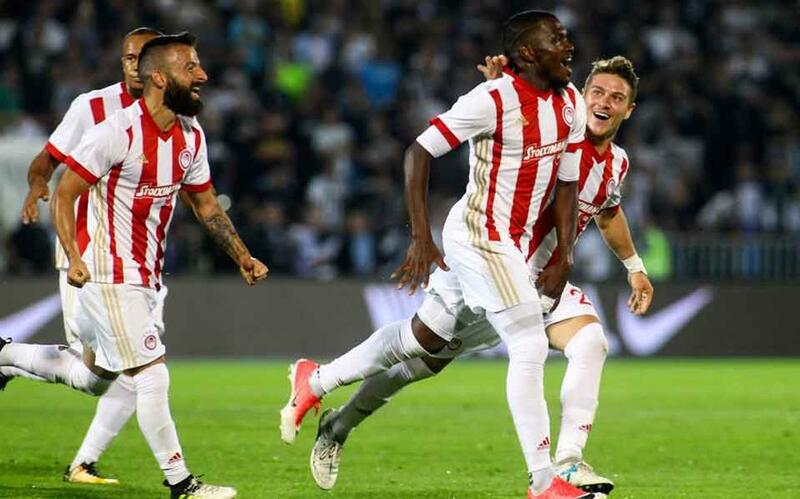 Panathinaikos and PAOK secured positive results in their first-leg games for the third qualifying round of the Europe League on Thursday, while Panionios suffered a reverse it can overcome in the return game. Panathinaikos defeated Qabala from Azerbaijan 1-0, the team that had dumped it out of the same competition two years ago. This was the first win in a European game for Panathinaikos after seven matches. In front of full stands at the Apostolos Nikolaidis Stadium the Greens deserved a higher score given the number of chances they created. Eventually they scored from the penalty spot, as Guillermo Molins’ goal on the 37th minute was the first for Panathinaikos after three European games when the Greens were scoreless. Robin Lod hit the woodwork twice and his colleagues missed numerous chances to add to the Greens’ tally on the night, while the Greek defense held firm for a clean sheet that could prove precious. PAOK escaped with a 1-1 draw from Kiev as Olimpik Donetsk outplayed the Greeks (who actually had no Greeks on the pitch until the 81st minute) but was unable to transform that into a home win. Pedro Henrique scored for PAOK through a spectacular shot four minutes after coming on as a substitute on the 55th minute, to equalize Stanislav’s Bilenkyi’s opener on the 49th minute. The players of coach Aleksandar Stanojevic were obviously unprepared for the game, but were fortunate enough not to concede any more than once on the night. Panionios lost 1-0 at Maccabi Tel Aviv although it played quite well in the humid conditions of Israel. Facing its host without Masoud Shojaei and Ehsan Hajsafi, as the Iranian players are not allowed by their government to visit Israel, the Nea Smyrni team held on till the 48th minute, when a solo effort by Vidar Orn Kjartansson found the back of the net. The chances that fell to Giorgos Masouras and Lazaros Lambrou went to waste, but Panionios showed it can overturn the deficit in a week’s time at home. All return games will take place on August 3.